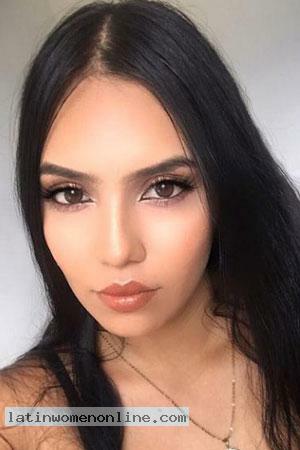 Gorgeous Single Latin Women seeking a Man Like You! More than 40,000 screened Single Foreign Women Profiles. Our South American Women are mostly from Colombia, Chile, Costa Rica, Dominican Republic, Mexico, Peru and Venezuela. Focus your attention on the 1000’s of beautiful Latin Brides in our database! Our beautiful South American Women come from all walks of life, and interpreters are complementary at all socials. 1000’s of Success Stories since 1995! Every day we hear from Happy Couples who found their match at LatinWomenOnline.com. Be a winner in the game of love! Latin Women Online has been helping men and women find one another in loving companionship for years! We offer an after-hours Tour Info Line to answer all your questions and concerns. Our team is here for you, to cheer you on and coach you through this exciting event! Meet hundreds of single Latin Women on our Singles Tours to Colombia, Peru, Dominican Republic and Costa Rica. We have Singles Tours departing nearly every month! Latin Women Online, in association with A Foreign Affair, was one of the first online international introduction and tour companies and remains one of the largest and most respected. We conduct more singles tours to South America, than almost any other Romance company. Hundreds of Singles Tours are offered every year! Our Singles Tours from the US are accompanied by American tour directors and we have an experienced, English-speaking foreign staff. Find the Latin Woman of your dreams. We specialize in finding that perfect Latin woman for you! Unlike other dating sites, all single Colombian Women, Peruvian Women and Costa Rican Brides on our service personally come in and fill out an application and are interviewed by our staff. You can be assured all Latin Ladies listed are real. We update our dating site daily removing women that are no longer available.